It’s no secret I drink a lot of tea. A lot of tea. 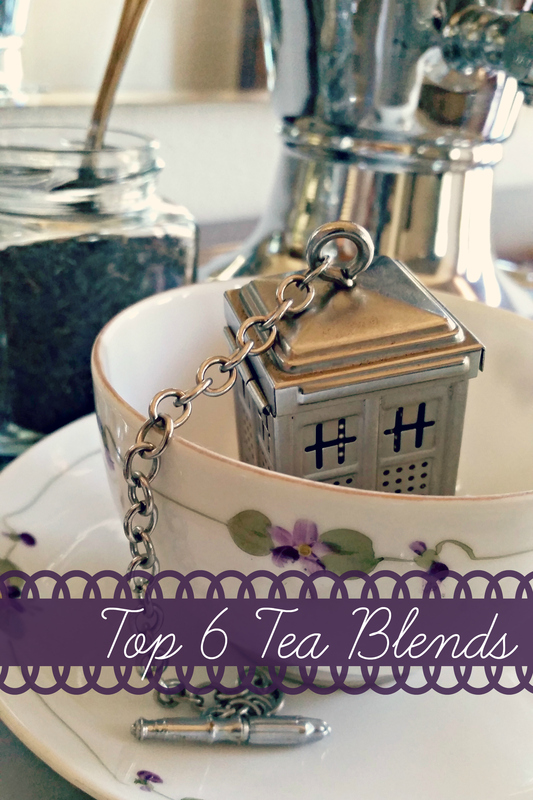 And every tea drinker has their go-tos, so I thought I’d share my favorite blends with you today! Sweet Ginger Peach, Revolution – This is my favorite blend for making iced tea. A friend gifted me with a box for my birthday a few years ago and I just love it! The pyramid bags make for a nice strong brew but without tasting too tannic and the flavor is unbeatable, especially on hot summer days. 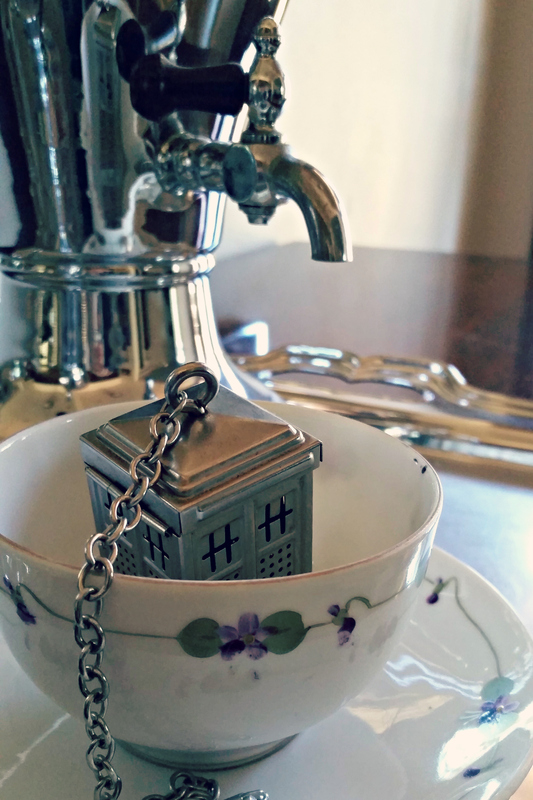 Earl Grey, Twinings – Is it boring? Yes. But Twinings is my usual, I’ll admit. There’s a reason it’s a classic, after all! Midwinter Night’s Dream, Mr. Trombly’s Tea – This is a relatively new find of mine and I can’t get enough of it. At first I thought I’d save it for Christmas, but have quickly discovered it’s far too delicious to hide away for ten months out of the year! 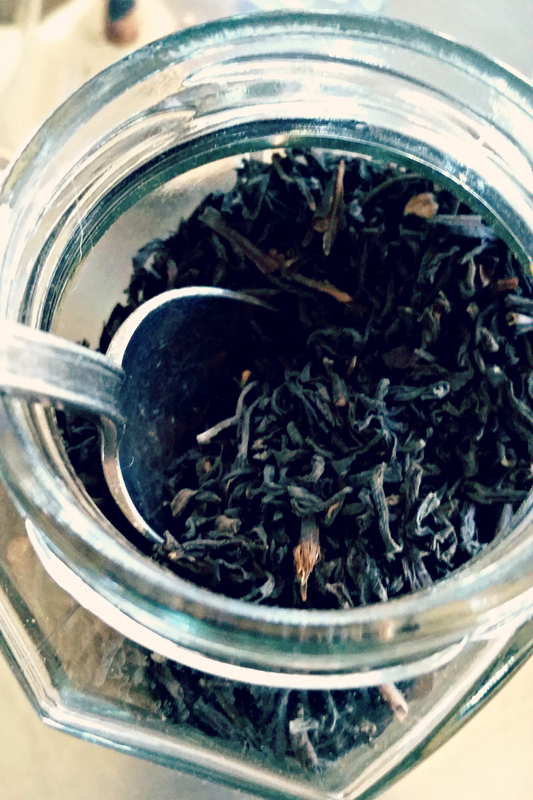 Made up of black tea with chocolate, peppermint, cacao bits and red pepper, this tea is absolutely heaven, hot or iced, and it smells as good as it tastes. Lavender Orange Earl Grey, Flying Bird Botanicals – I’m sensing a theme here, how about you? Yes, I like my Earl Greys! It’s just a great base for gently flavored teas and this is another perfect example. Earl Grey is naturally citrusy but the addition of orange peel really punches this one up while the lavender keeps it from being too tart. Children’s Tea, Davidson’s Organics – I haven’t had this tea in many years but it was my favorite when I was a kid. A local gift shop carried it and the owner always made sure my mom was well-stocked as I was as much of a tea addict then as I am now! Though not a particularly high-brow blend, this tea is sweet and fruity and as delicious for adults as it is for kids.